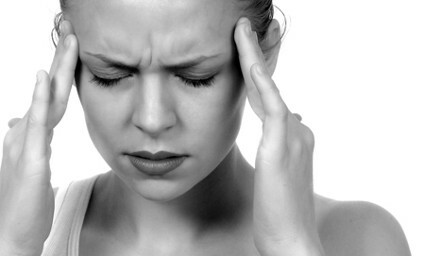 Are you bugged with frequent headaches or migraines? Well, let me tell you that this is a universal problem experienced by millions of folks worldwide. Apart from obvious reasons such as mental stress, anxiety and sinusitis, very few individuals know that their diet can be responsible for the frequent headaches they experience. Surprised, but it is true! There are certain foods that may be the reasons behind your constant nuisance of headaches and thus, being watchful of such foods might alleviate the problems. What Dietitians Have To Say? Headache is an uneasiness or pressure like feeling that a person feels in his/her head, whereas migraine is a kind of headache that occurs on one side of head. 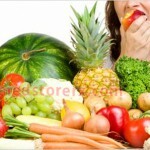 In fact, dietitians too affirm that a person’s diet can cause headache. On the other hand, around 30% of migraines occur due to a family history apart from the intake of unhealthy beverages, foods and stress. A few other trigger factors might include depression, sleeping patterns and hormonal changes. Switching to some low calorie diet or crash dieting is one of the common causes for headache resulting due to change in diet. This might cause headaches particularly if you eliminate or cut down the intake of carbohydrates completely. Your brain will use carbohydrates alone as fuel for its processing. Headaches might also pop up due to low levels of blood sugar in your body. Further, skipping your meals or keeping long intervals between two meals will also kick in headaches. Less consumption of water is also a reason for headache. It is an amino acid and is believed to trigger headaches in a person by lowering the serotonin levels in his/her brain as well as affecting the enlargement of blood vessels. Due to their migraine causing properties, foods containing this amino acid need to be avoided. 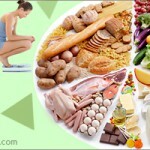 Foods that consist of Tyramine include alcoholic beverages, chocolate, processed meats, cheeses and red wine. 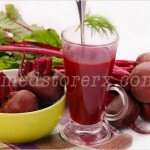 Red wine especially, as it contains Tyramine and phytochemicals known as phenols that are real triggers of headache. For a few folks, any type of alcohol drink might induce migraine apart from red wine alone. Other few compounds present in wine, whiskey and beer tend to drain the serotonin levels that could trigger migraine. Yes, chocolates can trigger migraines, as they too consist of Tyramine. Further, the amount of these sweet deceivers that a person consumes can be a problem as well, because migraine patients with high fat diet tend to get headaches on a more frequent basis. Quitting consumption of coffee suddenly may trigger headaches. Coffee is a slightly addictive and it enhances concentration and mental focus on a temporary basis. Thus, withdrawing yourself from its intake suddenly might trigger headache along with other signs of uneasiness. For instance, in individuals sensitive to intake of caffeine, coffee might cause migraine headaches, whereas in others, it may conk a migraine by pacifying constricted blood vessels that cause headache. Natural sugar is very imperative, as all animals and plants store their energy as sugar. In fact, all types of natural sugar offer around the same energy, which is equal to 4 calorie per gram. Natural sugar anytime is a better option compared to artificial sweeteners. Very negligible numbers of folks, who are intolerant to sweeteners, tend to get headaches. Nevertheless, this is common with a sweetener called aspartame and not with other sweeteners that utilize sucralose. So in case you feel that the reason for those frequent migraines or headaches is your diet, then it is advisable to visit your doctor.